Dreams of gold brought the first pioneers to Stewart long ago. 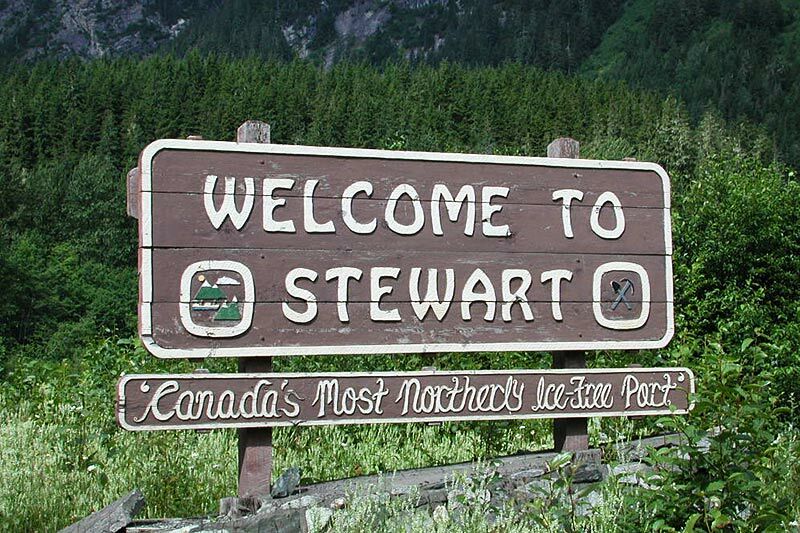 Set against towering peaks with hundreds of scenic waterfalls cascading down their sides, Stewart is Canada’s most northerly ice-free, deep-sea port. Formerly called Portland, the town’s name was changed to Stewart to eliminate confusion with Portland in Oregon. Prior to World War 1, Stewart’s population was 10,000 strong, but this boom was short-lived, and the population plummeted to less than a dozen shortly thereafter. 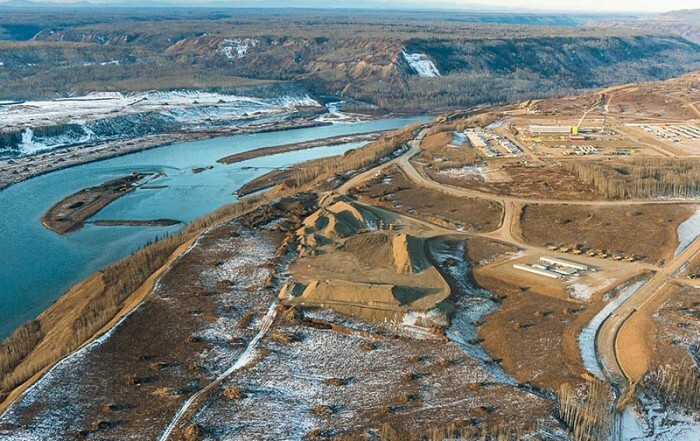 The economy of Stewart today is fuelled by mining, forestry and tourism. Visitors to Stewart can’t resist popping over the border to the United States, and the fascinating town of Hyder, Alaska. 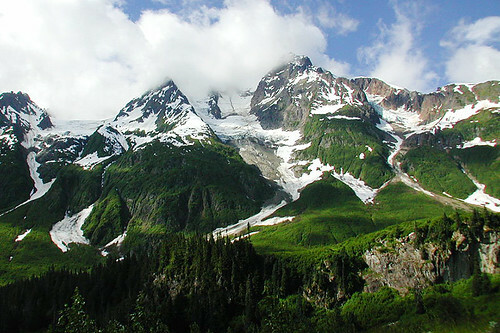 The Glacier Highway links Stewart with Highway 37, winding past the spectacular mountains and hanging glaciers of Bear Pass. Easily viewed off the highway, and 38 km before Stewart, the beautiful Bear Glacier beckons with ancient blue ice that sparkles like a jewel, with its melt water forming the headwaters of Bear River. 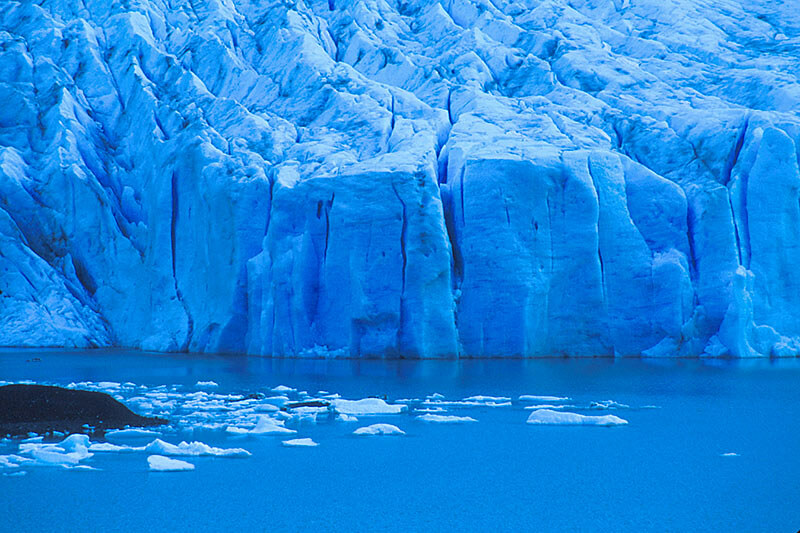 World-famous bear watching, glacier tours and breathtaking scenery make this trip a must. 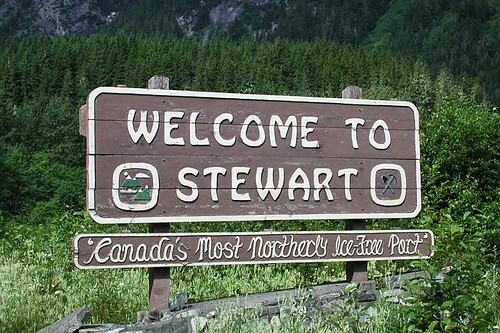 Location: Stewart is located in northwest BC, at the head of Portland Canal on the border of Alaska and British Columbia. Access to Stewart is via the 42-mile (67-km) Glacier Highway (Hwy 37A) off the Stewart-Cassiar Hwy 37. Stewart Historical Museum: Stewart’s colourful history is prominently displayed in the Stewart Historical Museum, formerly a firehall. 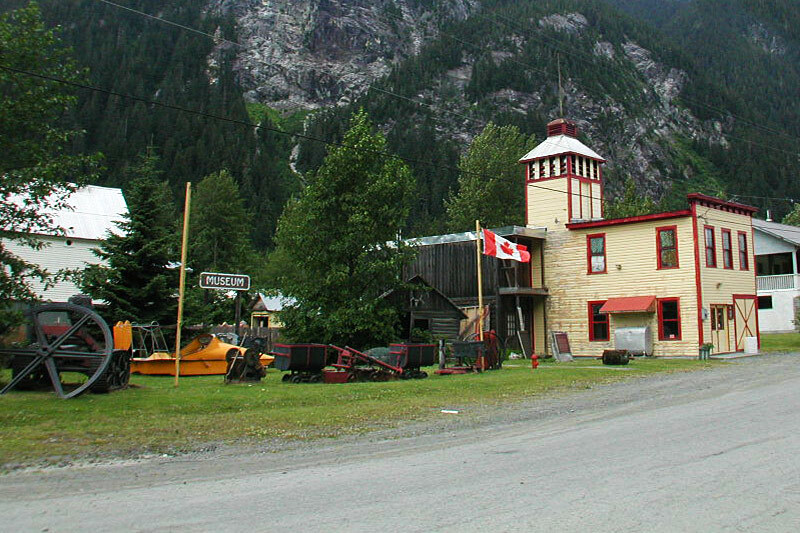 The museum features mining and movie industry exhibits. 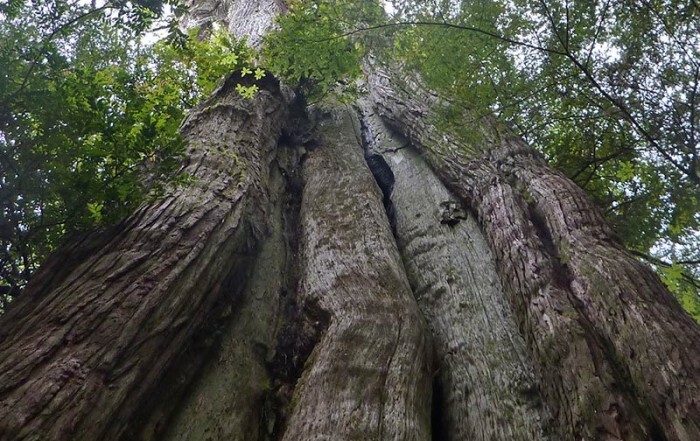 Get to know the town, and its past, with a self-guided Stewart Heritage Walking Tour. Historic buildings include the Masonic Building, the hotel, and the 1905 home of the town founder. A new appreciation of the seemingly mundane and ordinary. A celebration of a century of electro-mechanical ingenuity and the inventive spirit that’s contained in every piece. Believe it or not – Stewart has its own Toaster Museum. Come in and look around at century old toasters! Wildlife: Spawning Chum salmon return to Fish Creek in late July and August, attracting grizzlies, black bears and bald eagles. Viewing platforms afford a unique vantage point on this awesome natural spectacle. Mountain goats can also be spotted as they navigate the rugged peaks of nearby Mount Raine. 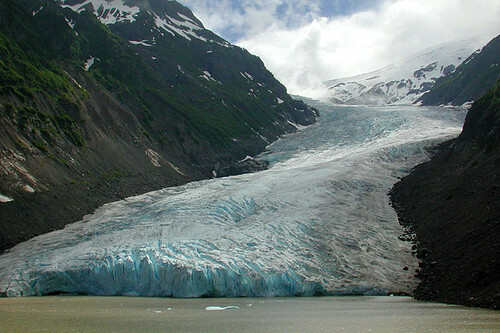 Glaciers: The beautiful Bear Glacier beckons with ancient blue ice that sparkles like a jewel, with its melt water forming the headwaters of Bear River, located along Highway 37A. 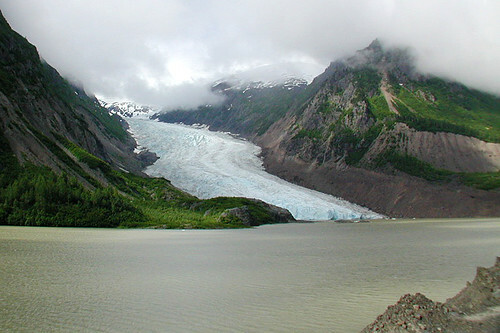 Salmon Glacier, the world’s largest glacier accessible by road, is located 22 miles beyond Stewart. 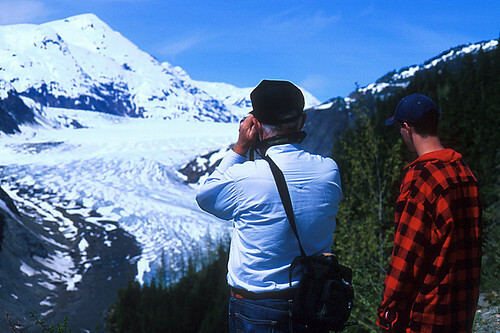 Regular bus and flight tours are available to see the awe-inspiring Bear and Salmon Glaciers in this area. Fishing: The bountiful waters of Portland Canal are popular with anglers seeking salmon, halibut, shrimp and crabs. 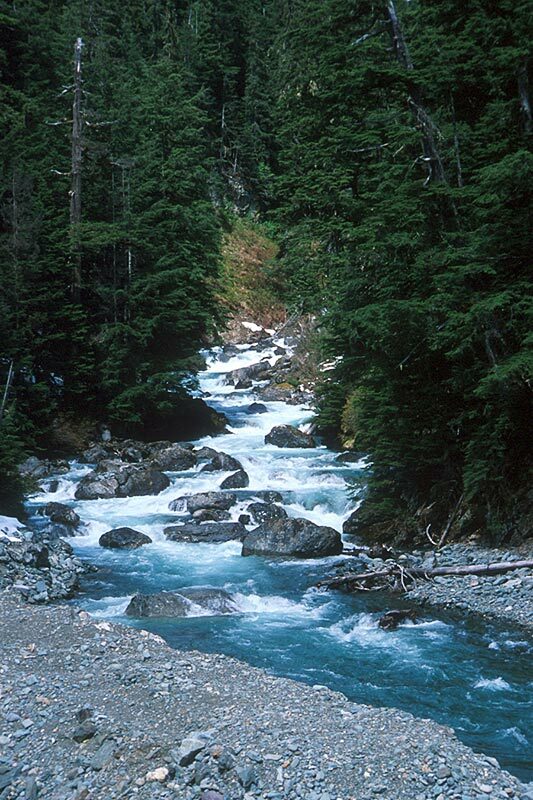 Freshwater fishing for Dolly Varden and steelhead is also excellent in local streams and lakes. Charter boats and guides are available in Stewart. There’s good whitefish, rainbow trout, and dolly varden fishing at Meziadin Lake. 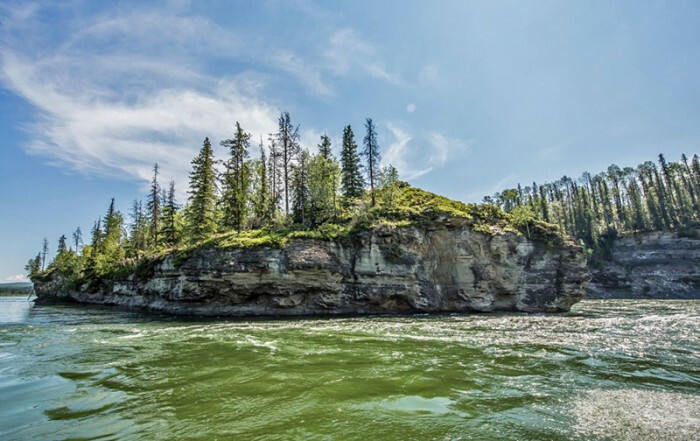 A boat launch is located at Meziadin Lake Provincial Park, but the best fishing is off the gravel bars at the mouths of many of the creeks that drain into the lake. Most of the campsites fill up quickly in summer, many of its picturesque campsites are right at lakeside. Hyder, Alaska: The border between British Columbia and Alaska is marked by a stone storehouse built in 1896. Registered as a US National Historic Site, this local landmark leads visitors to Stewart’s neighbour Hyder, the Friendliest Ghost Town in Alaska, perhaps best known for its local drinking tradition, in which visitors down a shot of ‘everclear’ pure grain alcohol to become “Hyderized”. In Hyder, drop into the Glacier Inn Bar to witness the tradition of papering the walls with real live money. The tradition was started by prospectors who wrote their name on a bill and nailed it to the wall. If they went bust looking for gold, they could always return to the bar for a meal and a drink! Snowmobiling: Stewart’s dense coastal snowpack and easily accessible, wide open, uncrowded landscape make it a prime snowmobiling location in Northern British Columbia. The incredible amount of snowfall the region receives from mid-November to mid-March ensures a long, sometimes even year round, snowmobiling season. However, Stewart’s relative isolation requires that sledders have intermediate-to-advanced skills. 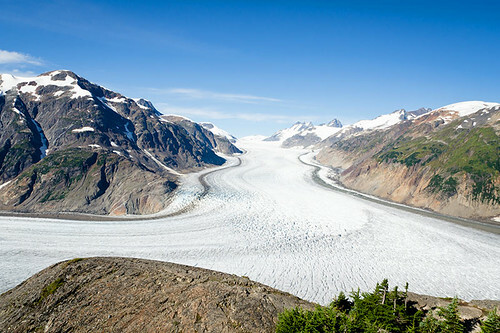 Deep alpine bowls and steep glaciers can pose an exhilarating, but nonetheless difficult challenge, and other snowmobilers can be few and far between. Heli-skiing: Many deep-powder enthusiasts return to Stewart year after year for one purpose only – to board a helicopter and make fresh tracks in Stewart’s endless mountain terrain. Heli-skiing provides an incredible mountain adventure for intermediate to advanced skiers. 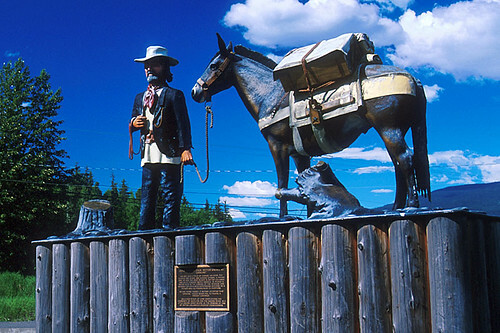 July 1st to the 4th marks North America’s longest birthday party, when both border towns participate in a joint community celebration of the July 4th holiday. 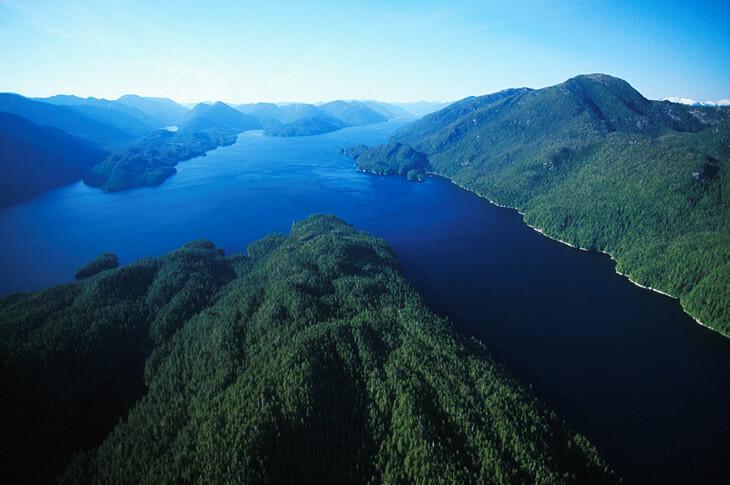 Alaska State Ferries regularly sail between Stewart and Ketchikan, Alaska in the summer months. At Ketchikan, Alaska Ferries head north to Skagway, Alaska and south to Prince Rupert, from where the B.C. 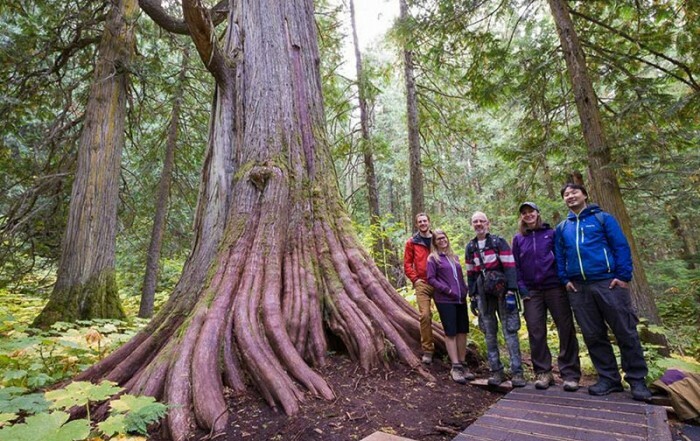 Ferries system continues south to Vancouver Island.